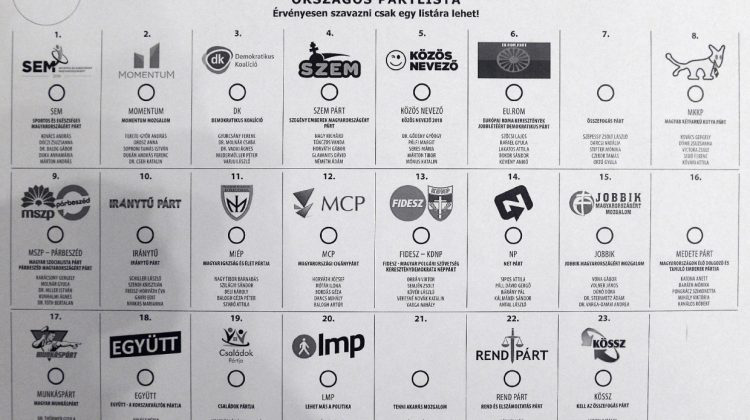 Transparency International Hungary and Political Capital are of the opinion that [due to] corruption of fake parties, the government’s overwhelming media advantage, and government propaganda favoring its own parties, the 2018 parliamentary election was not fair. The report issued by the Organization for Security and Cooperation in Europe’s (OSCE) Election Monitoring Mission with regard to the election criticizes the lack of campaign finance transparency, media bias, and the blurred line between government propaganda and the governing parties’ campaign. Both TI and Political Capital agree with the report. As organizations fighting for electoral integrity and against corruption, Political Capital and TI already noted in 2013 that the campaign finance law paves the way for parties indifferent to the voters but very interested in state campaign subsidies. The predicted tsunami of fake parties happened. We calculated that in 2014 this cost taxpayers nearly HUF 4 billion (USD 16 million). We were not idle between the election four years ago and yesterday. With studies, conferences, and open letters have we attempted to prevent the squandering of public money. All in vain, as the government hardly did anything to prevent political entrepreneurs from stealing billions in public money. A step in the right direction was taken when in the fall of 2017 they required those parties incapable of winning one percent of the vote to repay the campaign support. What is more, the modified laws made the party directors materially responsible for party debts. But at that time it was obvious that there would be little to close the public money pump. One month before the April 8th election we warned that the theft of billions in public money by fake parties continued to be a serious unresolved problem. All the government needed to do was follow our recommendations of 2013. Had this happened, then the parties could only have accessed campaign finance with the use of an electronic card issued by the Hungarian treasury, and individual candidates should have been required to account for the public campaign funds they receive in a similarly strict manner. It did not happen this way, and for this reason this year’s election also featured an overwhelming number of fake parties. According to our calculations, 14 miniature formations light years away from receiving 1 percent of the vote received HUF 3 billion. It is more than doubtful that the state will be able to recover so much as a filler [Hungarian currency] of this money from the dwarf parties or their directors. The money was lost and went into the pockets of the fake parties’ campaign managers. And if the state attempts to collect the money, the process could cost more than what they succeed in getting back from the fake parties. One thing is certain: the state must act.